Hello, I’m Andrea and passionate about pets. Because I want to share my love with our best furry friends, I joined the Pawsitively Professional team in 2015. 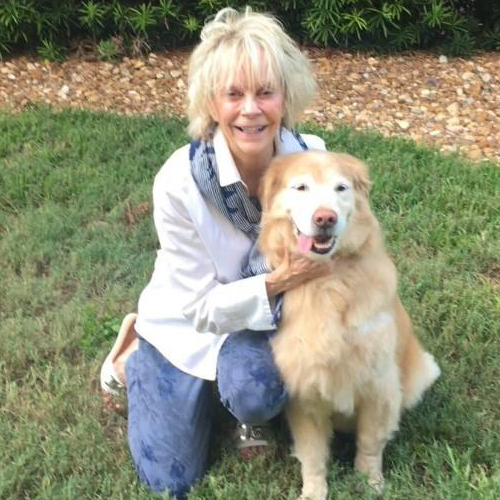 My husband, Hermann, and I are proud parents of our Golden Retriever, Sunny, and we have had the good fortune of Golden Retrievers enriching our family life for the last 21 years. But I love ALL dogs (and cats) alike! And, I’m looking forward to visiting your fur kids for healthy excercise, loving playtime, tail-wagging attention and lots of fun! Being one of their best friends is my biggest reward. Who better to give a “bark out” about my Best Friend Person, Amy? ME! My name is Mini and I’m her BFF – Best Furry Friend. 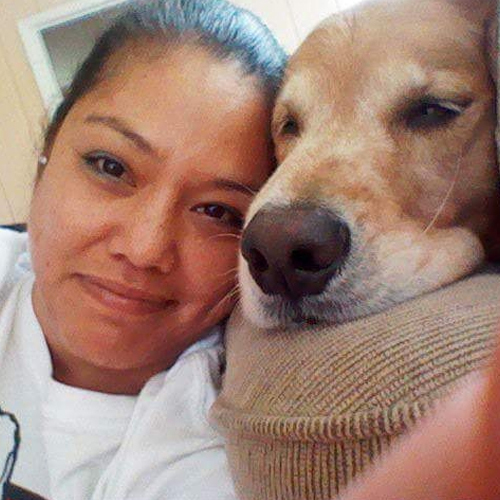 We met 5 years ago because my Amy was spending her time rescuing Golden Retrievers & finding them new Forever Homes. I was her Rescue #18 and quite a “pawful” because I had zero manners! But we had that inexplainable instant golden connection that turned her “Alone” Home into our “Forever Together” Home. Some might think it could be “ruff” for us to get along because we have many differences; my Best Friend Person likes sipping from mugs while I prefer slurping from bowls, she craves chocolate treats where I am all about bacon treats, and I could yelp on & on about this. Probably our biggest difference is that my BF Person, Amy, loves taking my kind – canines – on walks, but I prefer napping on the cool tile inside our home. So it was MY idea that she go find an outlet walking with others from the Pawsitively Professional Pack while I nap. A total Win/Win for our Purrfect relationship. My name is Ariana. I was born and raised in Lima-Peru and moved to Sarasota when I was 12. I went to Riverview High and then pursued a Bachelor’s degree at FIU in Miami. 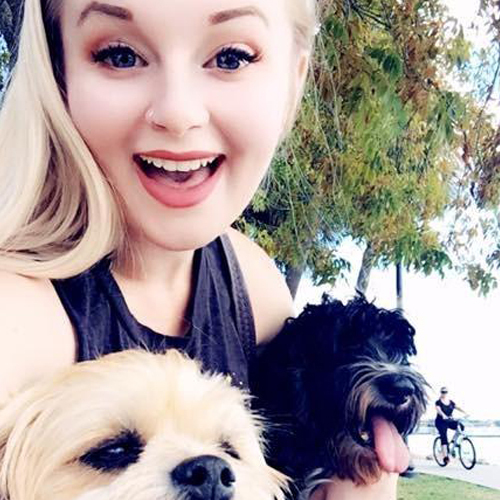 I love pets and I’m happy that once I moved back to Sarasota, I was given the opportunity to be a part of the Pawsitively team and share that passion. I have a Red Heeler pup named Sophie and she’s 4. She’s the fur baby of the house, the only baby for now, and we love her very much! I’ve been around pets all of my life so being able to connect with other pets and their families is rewarding and fun! Hello my name is Cindy. I have loved dogs and cats since my childhood. My first dog was a collie named Prince when I was 6 years old. I am a native Floridian. I lived in the mid west for many years and then came back to Florida. When I was 20 years old I was working for the Humane Society and adopting dogs out from my home. I had a kennel at my home that made this possible. I have loved animals my whole life. I have been lucky enough to have many dogs and cats. I have had 5 Boston Terriers so far and currently own 2 – Rita and Moonie. I have been a pet caregiver for 20 years and I cannot think of a more satisfying job. Although I grew up as a military brat and moved around frequently, I never knew our home to be without a family dog…big or little, we welcomed all breeds! I developed a true love and respect for animals and learned the art of deciphering pet behavior from my father, whom I often dub “the original dog whisperer” simply because of how dogs always responded positively to him. It never occurred to me to take my love for animals (especially dogs) and turn it into a job as a pet-sitter until I had a boss who owned a Bichon Frise named Cosette. The daily “leap of love” greeting she gave me helped me realize that much like my father, I shared a special bond with dogs; and it showed my boss that Cosette would always be well taken care of and well loved in his absence. 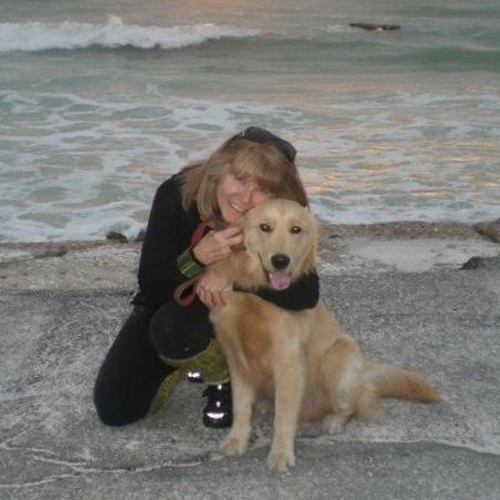 It wasn’t too long after that I became the “company dog-sitter” and from there, word started to spread, and I developed a list of pet sitting clients based solely on referrals. It was the perfect side job because for much of the past 20 years, I have lived in a situation that didn’t allow me to have my own pets, so through pet sitting, I am able to receive the furry love I so desire. That’s why when Pawsitively Professional started up almost eight years ago, I absolutely jumped at the chance to become one of their pet caregivers. I do work a corporate day job so therefore, I primarily handle overnight visits, but will also take on evening/dinner visits and some morning/breakfast visits. 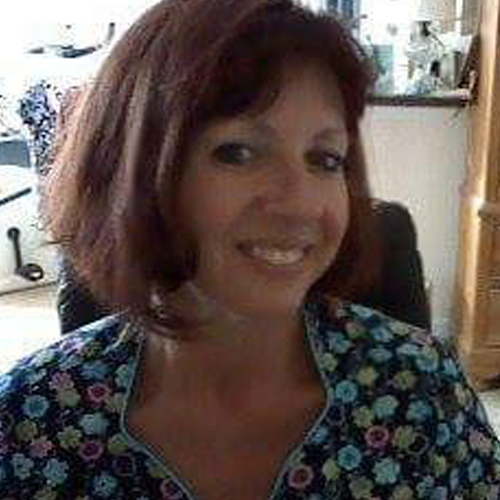 Born and raised a Kentucky girl, I just moved to Florida in June 2018 and started my career with Pawsitively Professional in pet care. Although I haven’t worked in pet care services for very long (yet!) I have always grown up with pets in the home. I’ve had dogs, cats, fish, snakes, turtles, bunnies, and even a pot belly pig in the home growing up! 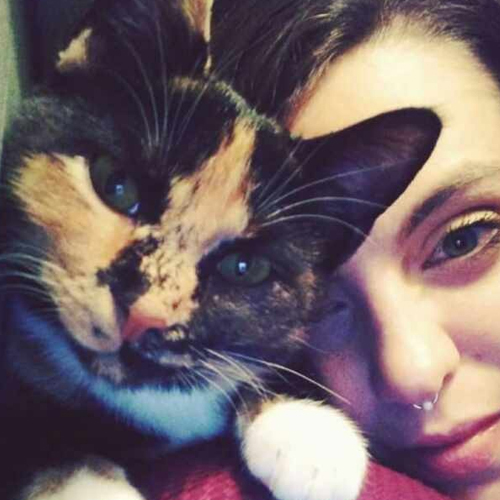 However, currently I only have one little fur baby, my precious calico kitty, Pebble! She was saved from the side of the road when she was just a couple weeks old, and has been my pride and joy ever since. 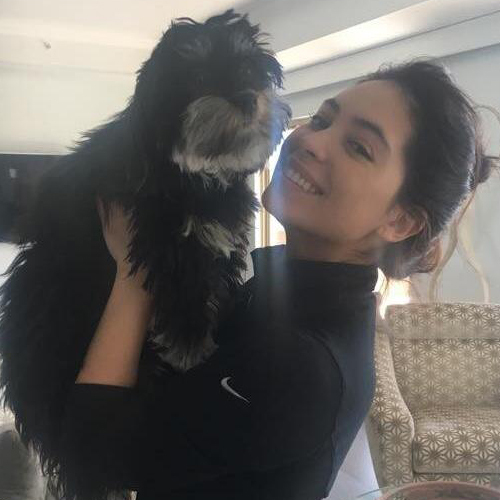 I have always been an animal lover and am so excited to use my personal experience loving and caring for animals to help others make sure that their pets are cared for! In addition to pet care I am also a wine specialist, music lover, proud aunty of my awesome nephew, and enjoy spending as much time as I can at the beach! I’m originally from New York and have been living in the Sarasota area for about 7 years. Growing up, my family had fish, hermit crabs, and turtles, and finally a dog when I was 9. As an adult, I started to rescue older dogs. 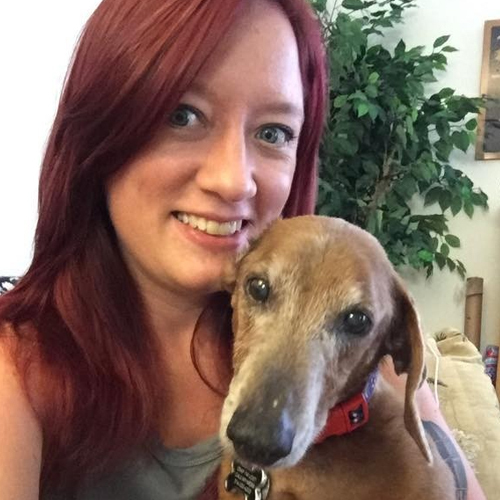 My first was a Beagle/ Bassett hound mix and now I have a 14 year old dachshund. The best part of my day is taking care of your fur babies. After dogs and cats, my biggest passions are reading, boating, and painting (animals are my favorite). I look forward to spending time with new furry friends! I’m Marissa. I recently graduated from the University of South Florida with my B.A. in Health Sciences and I’m currently pursuing my degree in Nursing. I have a passion for caring for people and animals. I have always grown up around dogs and cats. My family owned 3 Maltese’s , fostered 2 dogs and helped find their forever homes, as well as rescued a very sassy kitty. I’m also a proud dog mom of Desi a shih-poo and Ugo a cockapoo. 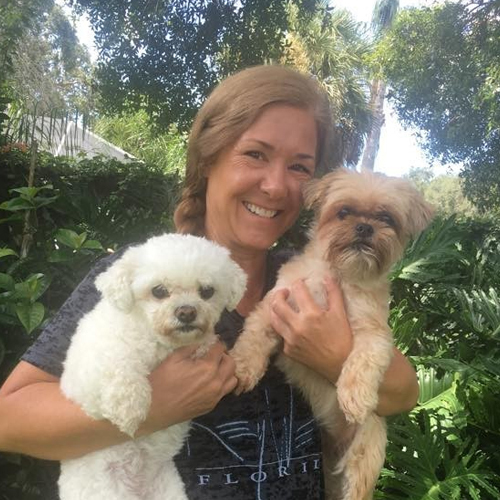 I moved to Sarasota in February 2018, and started dog walking and pet sitting with Pawsitively Professional. I love being able to care for and bond with new animals. I feel that if your dog or cat is not running to the door happy to see me when I come for my visits, I didn’t do my job right. Rest assured I will spoil and love your fur babies every time I see them. Sarasota to live near my parents and sister & brother who have all been here many years. I enjoy hot yoga & biking in the beautiful outdoors here. Wanting something fun to do for part-time work, I was thrilled to be introduced to “Paws”. I can’t imagine life without the unconditional love of our furry friends & am so grateful for the trust our clients put into our hands as we care for & sit for their precious, cherished pets.